Caption: Backpacking. Frank liked his load low. Bob and I prefered [sic] ours high. 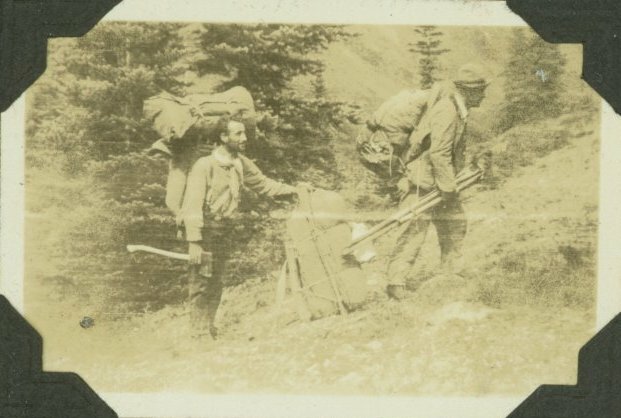 Item is a photograph of Frank Swannell and another survey crewman trekking up a grassy slope; each with packsacks located at different points on their backs.